Glass coasters available in a set or singulary. 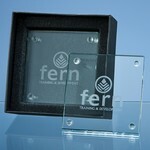 Great corporate gifts or perfect individual gifts. Any budding artists in the family? 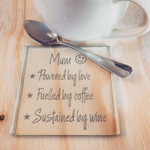 These coasters are perfect for engraving your child's best drawings onto.